On a farm in New York, there lives a herd of goats. 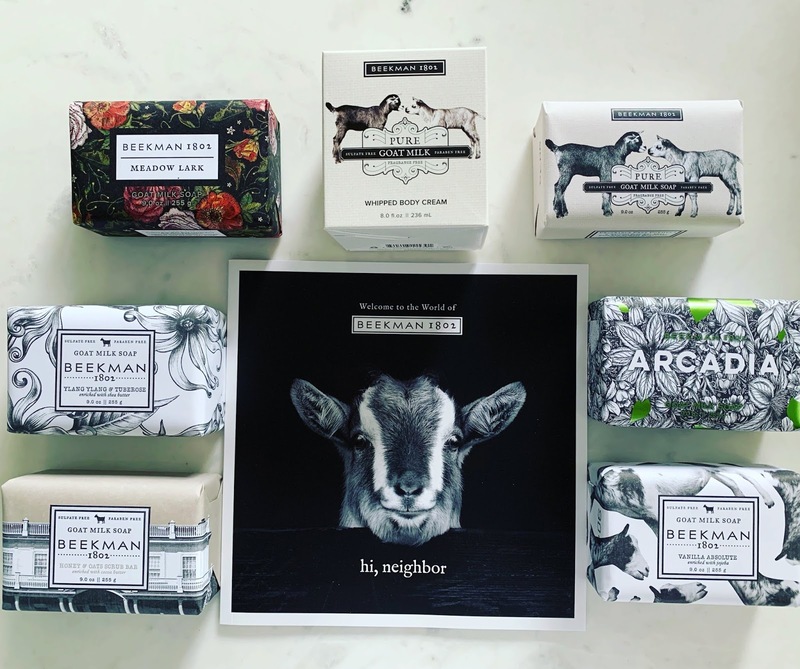 And on that farm, there are two men who came to care for these goats and went on to create the lifestyle brand, Beekman 1802. This morning I used the Meadow Lark soap for the first time. When I got out of the shower, my skin felt soft and I smelled delicious. (I took the soap wrapper and put it in my lingerie drawer.) I'm looking forward to trying the others scents. I already have my eye on Hello Sunshine After the Sun Bar. I also love the story of Beekman 1802. Josh Kilmer-Purcell (advertising executive and NY Times Bestselling author) and his partner, Brent Ridge (physician and former Vice President of Healthy Living for Martha Stewart Omnimedia) left New York City after they both lost their jobs within a month of each other in 2008 to live on historic Beekman 1802 Farm, which they had purchased the year prior as a getaway from the city. They started thinking about their steps. After taking in a neighbor's herd of goats they learned how to produce goat's milk soap and cheese. Today, Josh and Brent run Beekman 1802 and they work with farmers and artisans to market locally made goods to enhance your life. I love the product, the packaging, the scents and the story. 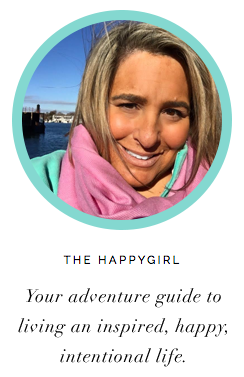 I also love that the bars are made free of sulfates, parabens and artificial fragrances. I'm inspired by people who have been through a downturn in life and made it into something positive. I'm looking forward to gifting Beekman 1802 to friends. I hope they'll feel as happy as I did when I saw this little goat staring back at me.